I really had no idea how to deal with the butter beans. 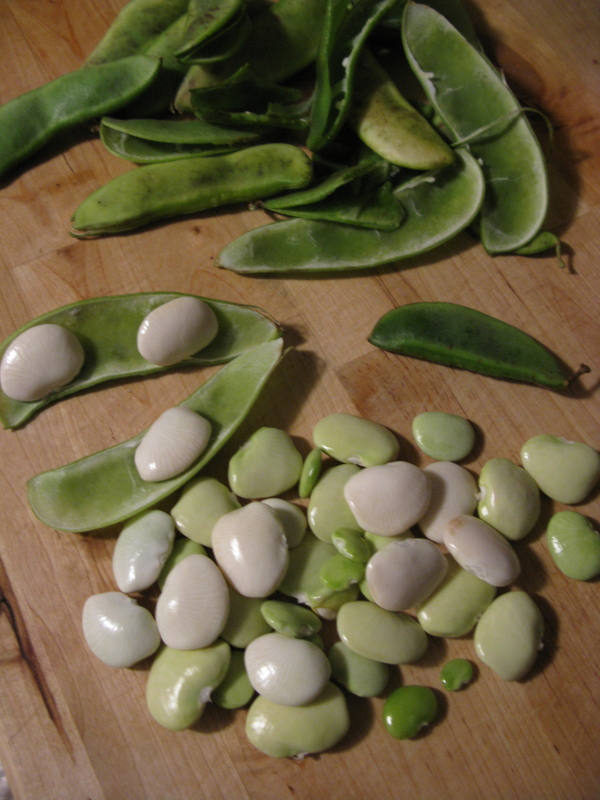 I looked at them and was wondering if I should remove them from the pod or if I should cook them in the pod (like snap peas or green beans). 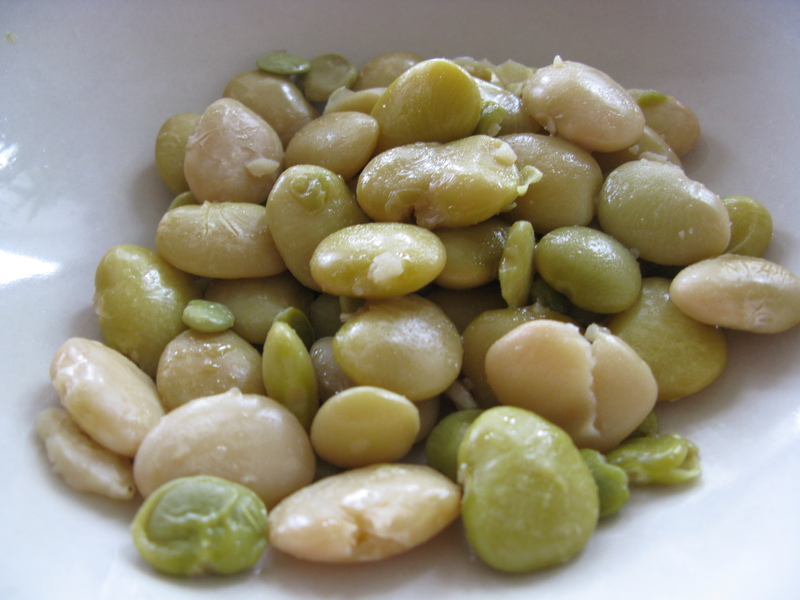 Thankfully, there is a thing called internet where I first found out that butter beans are a type of lime bean. Then I found this handy website. It tells you right there that the pods are not edible (disaster averted… for now). So I got to work, snapping the pods and removing the beans from the inside. The other ignorance-filled moment of the week involved peanuts. We received a bag of peanuts in the shell a few weeks back and I had just let them sit around for a while. Then, one of these nights I thought I’d eat them as a snack. When I first peeled the peanut and tried it, it tasted horribly wrong. They were sour, they were hard, in a word, they were green. So, yeah, I had no idea they had given me green peanuts and that I had to be the one roasting them. Somehow, my brain assumed that the roasting would be part of the conservation process for the peanut. To the internet I went, and I learned that the peanut actually grows on the root of the plant. I was completely ignorant to the fact that the shell is already dry when you pull them out! I thought they were like dried fruit… Ok, I learned something. Next step, roasting them. Alton Brown to the rescue – peanut oil, salt, and peanuts on a baking sheet, roast for 40 min. 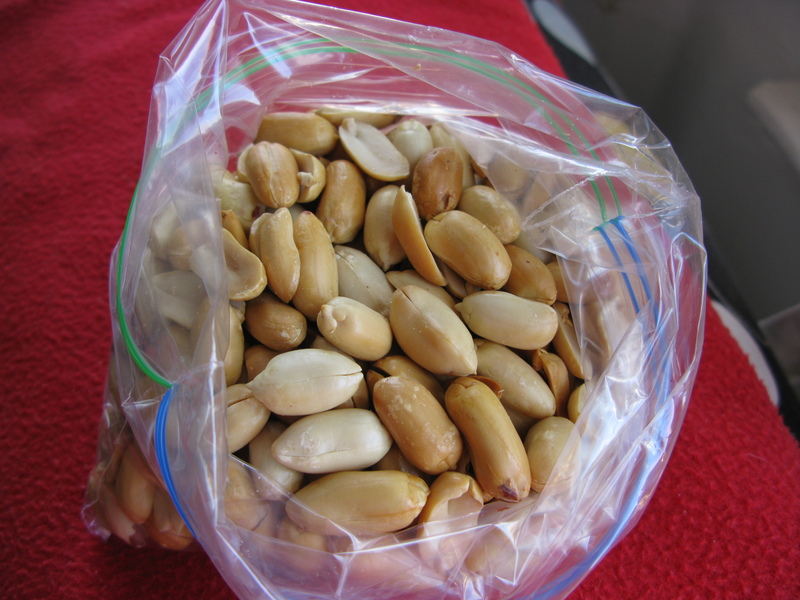 In the end, I peeled them all and put the roasted peanuts in a bag with some salt to coat. They were still oozing their oils so the salt just ended up accumulated in the bottom of the bag. We didn’t care, they were delicious on their own. This entry was posted in Sides by Ines. Bookmark the permalink.